57313 passes Coedkernew with 1V31, 0532 Holyhead to Cardiff Central on 23rd March 2012. This was the penultimate service from Holyhead booked for a class 57. 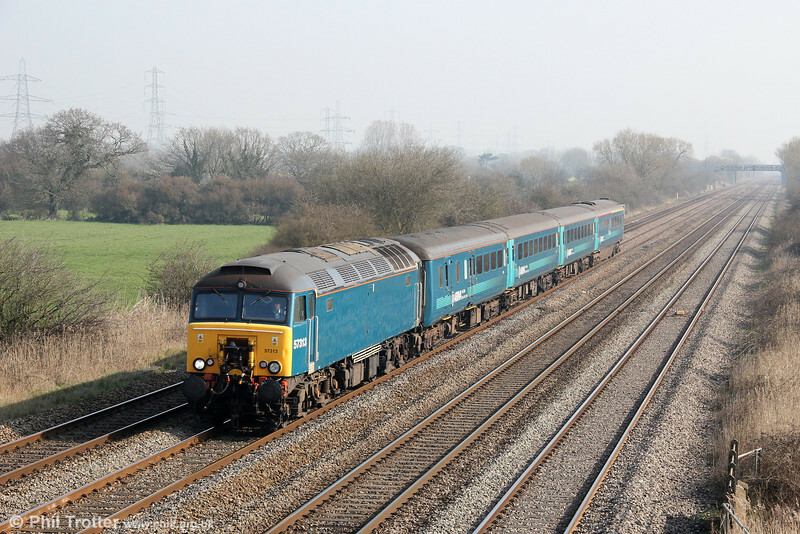 Class 67s were due to take over the following week.